The Constitution adopted at the initiative of Heydar Aliyev in 1995 laid the foundation for building a rule of law and democratic society in Azerbaijan, first deputy chairman of the parliament, Ziyafet Asgarov said May 10 at a special session of the parliament dedicated to the 95th birth anniversary of great leader Heydar Aliyev. Asgarov touched upon the legal reforms carried out under the leadership of great leader Heydar Aliyev and noted that the results of the April 11 presidential election showed that the people of Azerbaijan voted for the continuation of Heydar Aliyev's policy and for the development. Asgarov also stressed that President Ilham Aliyev is further expanding the scope of the success achieved during the leadership of great leader Heydar Aliyev. Asgarov noted that the economic success achieved after Ilham Aliyev's election as president was confirmed by the international assessment. 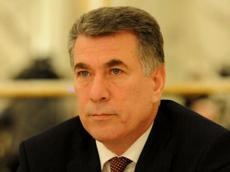 Asgarov added that judicial and administrative reforms and personnel reforms are being carried out in Azerbaijan. "During the years of leadership of President Ilham Aliyev, the judicial system has been further improved," he said. He said today Azerbaijan under the leadership of President Ilham Aliyev has become a country that is developing, renovating and significantly strengthening its position on the international arena. "Despite the black PR used by a number of political circles and organizations that serve their interests, as well as by anti-national elements, Azerbaijan demonstrates that it is a country conducting a fully independent policy," Asgarov added.